We are reputed organization for the manufacture and supply of the Triple Refined Iodized Free Flow Salt. The production team is well trained to handle the advanced machineries installed at our facility. We provide a flexible and efficient shipment and payment mode reducing the product cost reasonable. Suitable for Food Grade Purpose, packed in 500gm. 1kg. 2kg, 25kg and 50 kg bags, 1ton jumbo bag and iodine as per buyers requirement. Our salt are highly demanded in the industry. Our salts are known for their superb quality, taste level and their freshness. We can supply refine salt from india 20 ppm iodein value, and also we can supply refine free flow salt 20 ppm iodein value. Being a well-distinguished company in the market, we are into offering Refined Iodized Salt. We are one of the well-distinguished companies in the market that is into offering Refined Salt. As per the needs and requirements of our clients, we are involved in providing Edible Salt. 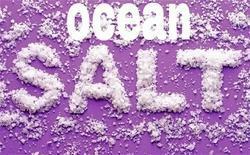 We are involved in offering a wide array of Pure Salt that are known for its various uses such as for optimum health and in making different dishes delicious and tasty. 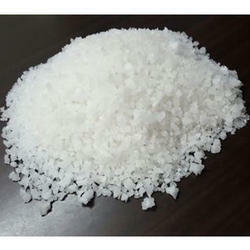 Further, the offered Pure Salt is available in market in huge quantity in safe packaging. One can avail for Pure Salt at pocket friendly prices. This variety is manufactured specially for certain industries where specifications are very stringent in terms of purity of refined salt which is maintained at 99.6%. The impurities like calcium and magnesium are pegged at very low levels to the tune of Parts per Million which illustrates our technical capabilites.